On the Ending of Twin Peaks The Return: "How Do You Say Goodbye to Art That Never Leaves You?" Many people feel this about Harry Potter, Lord of the Rings, Game of Thrones, and Star Wars. These are grand works of art that combine dramatic storytelling with swashbuckling adventure, fueled by mind-blowing cinematography and special effects. Twin Peaks only has two of those four elements and, after watching The Return, I would argue that it pierces deeper than any of those mega-series. Hardly swashbuckling, Dale Cooper as Dougie Jones, our protagonist hero, remains completely silent over four-fifths of his on screen time and his arch-nemesis doesn’t speak much more than that either. The war in Twin Peaks is a quiet one but is also the most dangerous conflict the human species has ever engaged in, because it is a war for our souls. 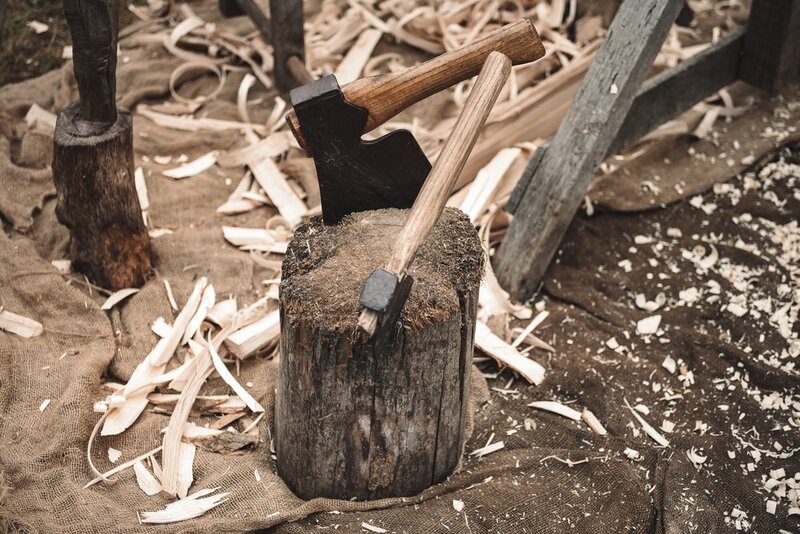 This war is much like the one we fight together, separately every day, foolishly believing we are alone, swinging our swords in the darkness, when in reality we whiff the quiet dark together with our blades and if we were to swing in unison against the common enemy? Well things would change in a instant, wouldn’t they? This insight is the legacy of Twin Peaks The Return. We watched the goodness of simplicity and silence broil into a liquid gold benevolence that poured from our silent hero, Dale Cooper, into the hearts and minds and spirits of those around him, while his arch-nemesis doppleganger, in quest for the deep black, created empty thought forms, filled them with deadly poison, set them in place on the board of life, and yet still watched them fall to the gold. In Oliver Stone’s film Nixon, there is a point where E. Howard Hunt tells John Dean, “Nixon is the darkness reaching out for the darkness and eventually it’s either you or him.” No truer thing could be said of Dale Cooper’s evil double, Mr C. While on the other side of the mirror, Dougie Cooper carries the simple goodness of a baby Buddha, frustrating, foiling and foaming his spiritual light all over their lives, turning their screaming mouths into soft smiles. This is a show for poet warriors of light who seek to illuminate the darkness and walk away from pain. Welcome to Twin Peaks. May you never leave. 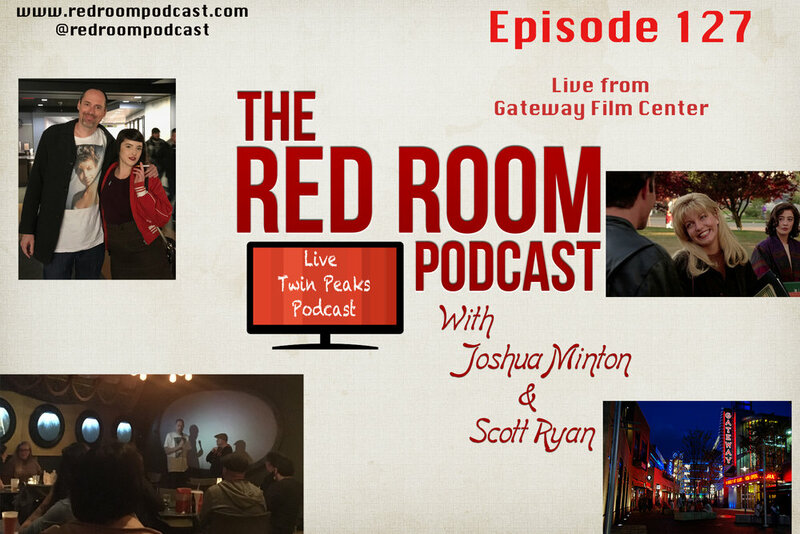 The Red Room joined forces with Gateway Film Center to host a screening of Lynch's Fire Walk With Me. We also screened A Voyage To Twin Peaks. The audience got to see the locations where FWWM was filmed before watching the film. We also talked about John Thorne's dream theory, Scott gives his Annie theory and we talk about the new Blue Rose Magazine. We are hoping to do these for all the Lynch films playing at the Gateway all this year. After the event, Scott and Josh talk about what it was like to watch FWWM in 35mm with a sold out audience. Scott Ryan and John Thorne has started a new Magazine about Twin Peaks. Check out the Blue Rose website to place orders Click Here. Buy or Rent A Voyage To Twin Peaks at Amazon. It is the documentary Scott screened at this event. See the actors, the set locations and interviews with the fans. I remember thinking it had been awhile since I had purchased a Wrapped in Plastic (WIP) magazine. This may seem hard to believe, but there was a time when you didn't get all the answers from the internet. There used to be book stores and they sold magazines. I purchased all my copies of WIP from local book stores. But in 2006 when I was missing WIP, I went out to the internet, probably through dial up, and found out that the magazine had gone on hiatus. "Well," I figured, "I guess maybe I am the last person around who still cares about Twin Peaks." Did I mention that wasn't the first time I was wrong? Now 11 years later, another Twin Peaks magazine appears, The Blue Rose. It also will be guided by John Thorne and a partner. This time that partner is inexplicably me, Scott Ryan. Somehow in those 11 years, I went from collector to creator. Meeting John Thorne in 2015 was a highlight for me, in a year filled with highlights. I was so nervous to ask him if I could get a picture with him, but he generously agreed to it. From that small conversation in the Tweed's Cafe, the Double R Diner to you and I, a friendship was born. What he didn't know was that eventually a project is born from every friendship I make. To me, starting up a crazy idea is like a secret hand shake. I think it was only a few months after meeting John that I began my campaign to bring back the magazine that I had loved so much. What I learned in the past two years was that you can't go back, you have to go forward. The Blue Rose Magazine was growing already. John and I have been working on Issue #1 since October 2016. We started a gorilla marketing plan on Twitter (@bluerosemag1) where we would tweet out fun little memes but not say what we were. We were planning on not telling anyone until February 24th and then say, "Boom, it is out there." It didn't quite work out that way. Our buddy, Twin Peaks Archive, found our link on Amazon and told the world what we were. I wasn't prepared at all for that. I hadn't even tested the website to see if it worked. Luckily, it did and we were out there for the world to discover. On February 24th the digital edition of Issue #1 was released through Amazon and iTunes as The Blue Rose Magazine - Managing Editors: John Thorne and Scott Ryan. Shelly, get me some water, my socks are on fire. I know, I know, you want that print version just like you got in the 90s. We want it to. We are taking orders from now till March 14th for the first edition in print. Orders will ship out on March 24th. This way you can download the digital edition and then await your hard copy in a month. Not sure if in the future we will be able to release both versions on the same day, but for at least 2017 we will follow this model. After all these years, I still don't know if I am the only one out there longing to read about my favorite show. I mean while I am writing this very sentence, eight new people just started another Twin Peaks Podcast, four people wrote books about it and I probably also started a new project. Things move quickly now. The Blue Rose is going to slow down and try to take you back to the days where you had to (and hold on millennials for the next word is something you have not heard of before) WAIT. Let me be clear, BRM is not WIP. They are different entities from different people in a different time. We hope that the quality, care and dedication remind you of it and that you find yourself awaiting the next issue. Whether you choose to go the digital route, which will be $2.99 (which is the same price as the first issue of WIP), or the print route, which will be $7.50, we hope that you feel the love we have for Twin Peaks. We hope that you will know that we honor Lynch, Frost and all the artists that come together to bring us the town of Twin Peaks. I never take any of this for granted. I know, I didn't tell you anything about what is in Issue #1 and that is what you wanted to hear. I wanted to talk a little about what it meant to me to be able to work with John Thorne and try to carry the mantle of all the great work that is out there about Twin Peaks. Being a part of this magazine is a true honor for me. I hope the world greets the BRM with that spirit. To hear more about the magazine all of the staff will be appearing on the Twin Peaks Unwrapped Podcast the last week of February. You can also head out to our website, www.bluerosemag.com and read about the magazine, see the Table of Contents and place an order. Check out the website to place orders and read about the first issue. Click Here. Check out the iTunes version, digitally. Pre-order the Amazon digital version. Follow BRM on Twitter and Facebook. Director Todd Holland has directed on some of the best television programs over the last 25 plus years. Twin Peaks, Larry Sanders, My So-Called Life, Wonderfalls, Malcolm In The Middle and The Real O'Neals. He joins Scott for a discussion about some of the work he has done. He tells great stories about working on Twin Peaks and a story about My So-Called Life that you will never forget. Todd is a great interview and a ton of fun. Enjoy this hour discussion about directing for television. This episode is sponsored by The Blue Rose. Follow The Blue Rose on Twitter. Scott Ryan and John Thorne has started a new Magazine about Twin Peaks. Pre-order The Blue Rose Digital version for only $2.99. Buy or Rent A Voyage To Twin Peaks at Amazon. It is the documentary Scott directed about the 25th Twin Peaks Festival. See the actors, the set locations and interviews with the fans. Order Scott's book, thirtysomething at thirty. SIGNED by Scott. Scott Ryan and John Thorne have started a new Magazine about Twin Peaks. Order The Blue Rose Digital version or Print Edition.